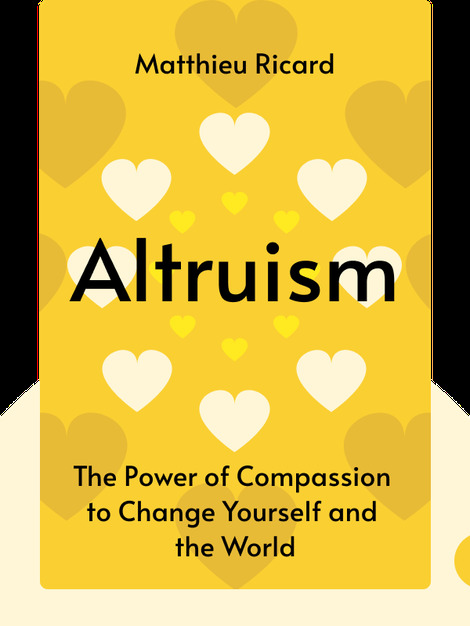 Altruism (2015) examines our need to care for others, a compulsion that is essential in both humans and animals. These blinks explain how and why caregivers do what they do through the lens of philosophy, economics and evolutionary theory. 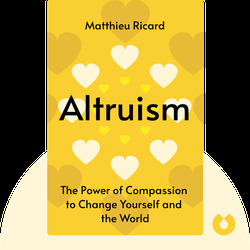 Matthieu Ricard, born in Aix-les-Bains, France, is a Buddhist monk practicing in the Tibetan tradition and is the Dalai Lama’s French translator. He originally studied molecular biology; today he is a bestselling author and spiritual leader working to integrate science and spirituality.